Little Chibi Harry and beautiful, majestic Hedwig. 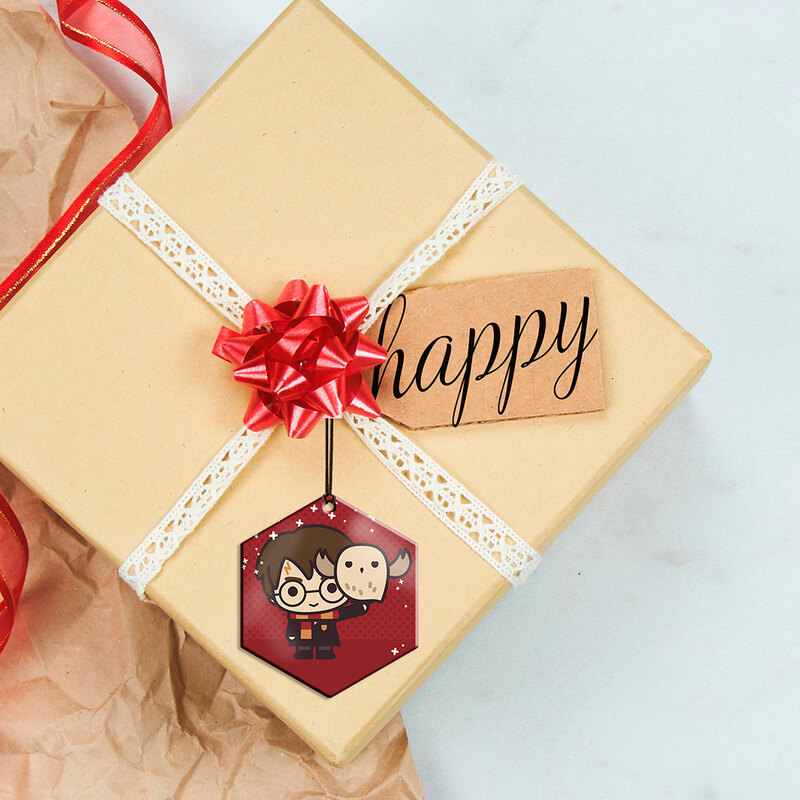 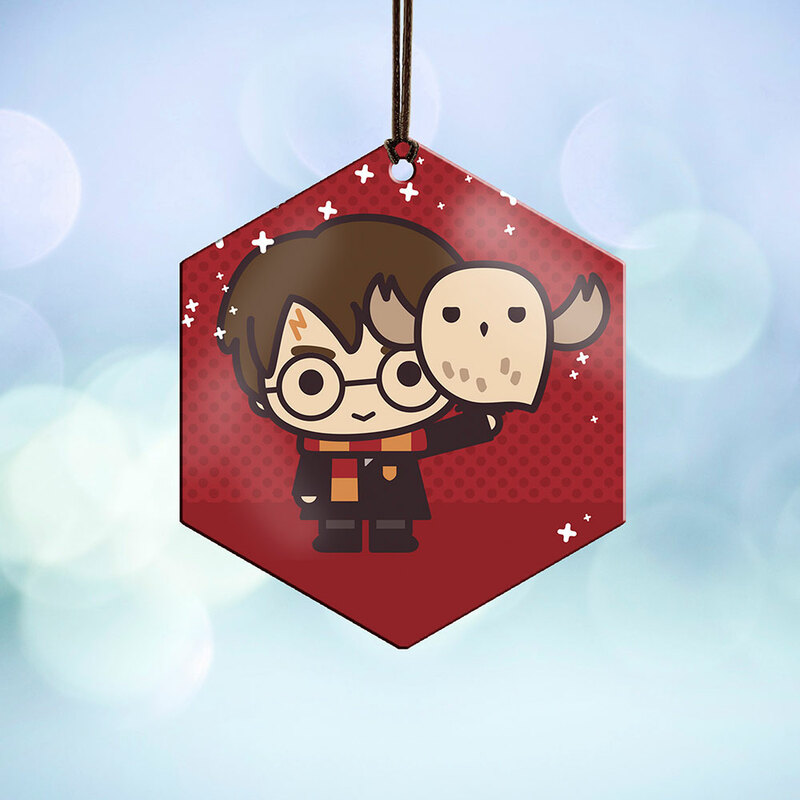 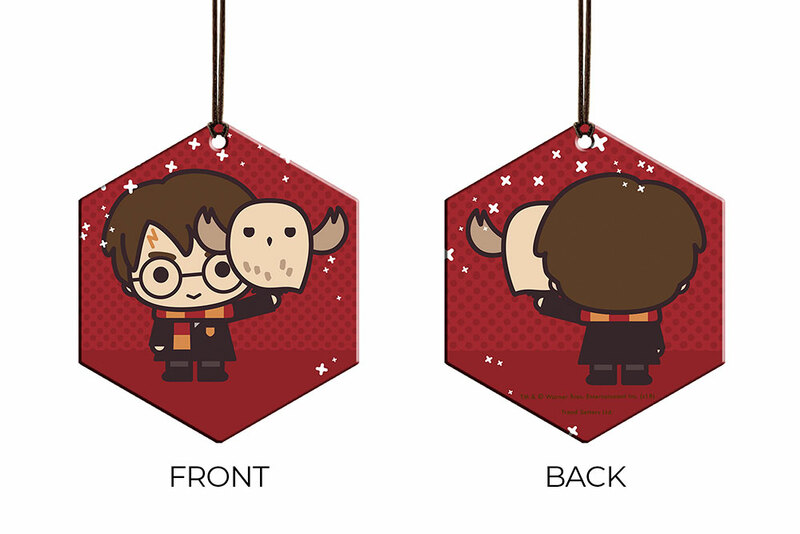 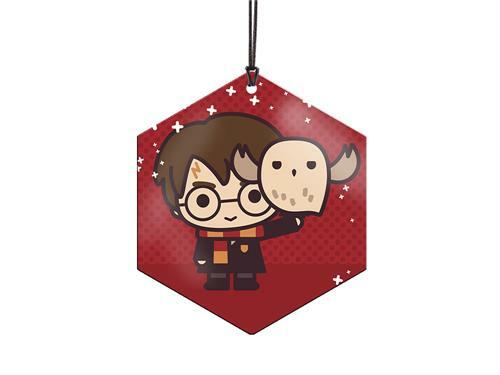 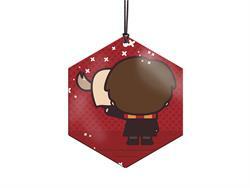 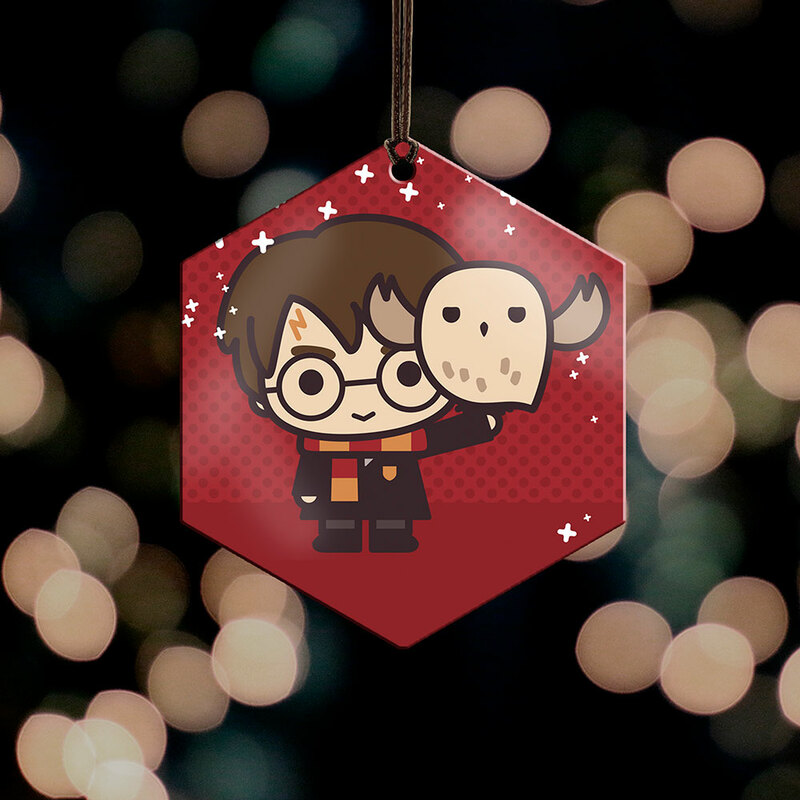 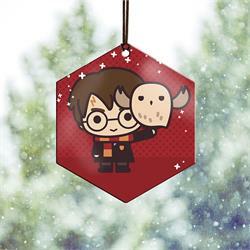 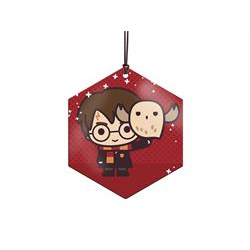 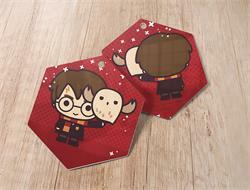 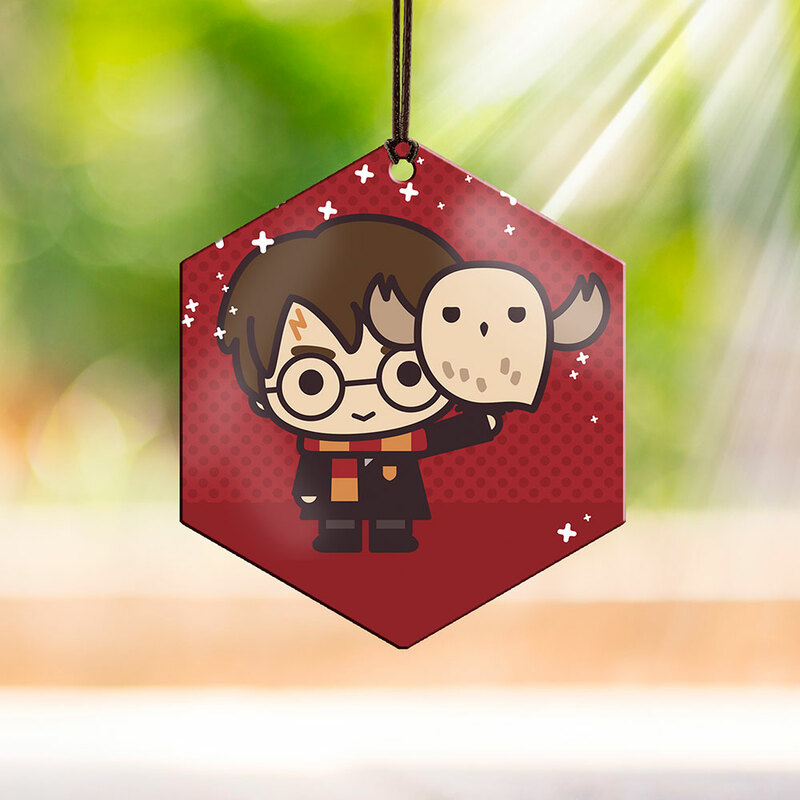 This vivid metal hexagon-shaped decoration features Harry Potter in his Gryffindor Scarf with his trusty owlfriend, Hedwig in a cute chibi style. On the backside is, well, their backsides!